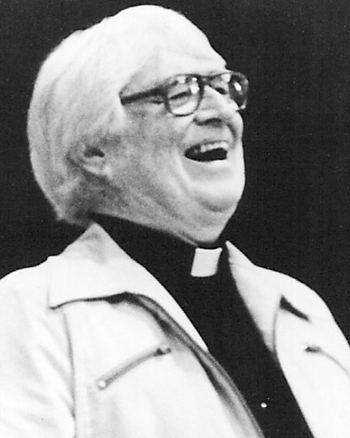 Sulpician Father †Eugene Walsh (1911–1989) was a preacher, teacher, theologian and writer whose legacy of written material still speaks truth today. Celebration offers practical suggestions for all assembly members: presiders, readers, servers, pastoral musicians, communion ministers, community leaders, ushers and peacemakers. In this brief manual on how to be better readers and hearers of God's word, the late Father Eugene Walsh delves into our various roles in the liturgy. In the foreword, he states simply, "This book is for all who read the word of God and all who proclaim the gospel in Sunday celebrations." He reviews what Vatican II says about restoring God's word, talks about the power of the word we proclaim and explains the basics of how to proclaim it. He concludes by talking about what happens when Christians gather to celebrate the word, saying "Their whole life takes on the qualities of that word of God. They tell God's love story by how they worship, how they work, how they play, how they live." May it be so. Readers will find insight into these most important topics of our faith, as well as poignant reflections on the life of Eugene Walsh by Fr. Virgil Funk and Tom Conry. Sulpician Father †Eugene Walsh (1911–1989) was a preacher, teacher, theologian and writer who spent most of his life in seminary work. In the wake of Vatican II, his passionate love of people, his commitment to life-giving liturgical celebration and his compassion for humaneness caught fire with the priestly people of God. His legacy of written material still speaks truth today.